A style of programming that emphasizes the evaluation of expressions, rather than execution of commands. The expressions in these language are formed by using functions to combine basic values. 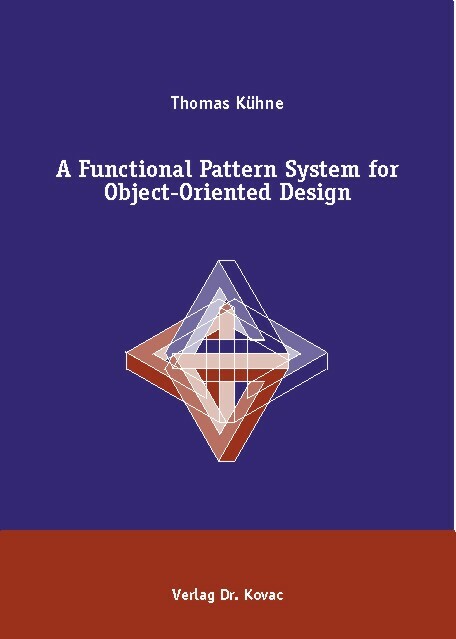 Promotes the idea that concepts from the world of functional programming can be captured with design pattern descriptions. 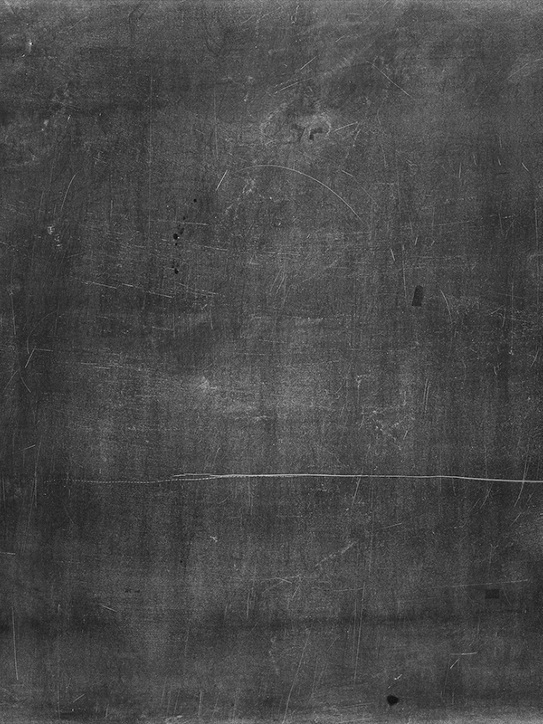 These can then be used to benefit from functional programming concepts with ordinary object-oriented languages. 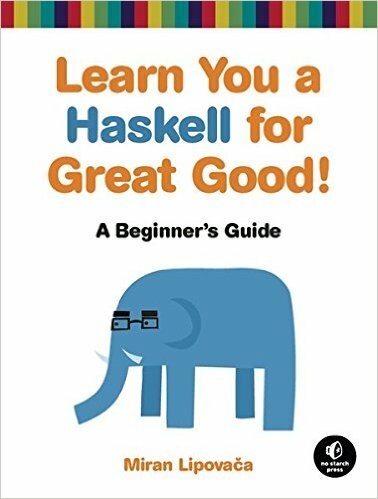 An introduction to Haskell, a general purpose, purely functional programming language incorporating many recent innovations in programming language design. Addresses the issues of combining the virtues of functional programming with the virtues of imperative programming. Uses both Standard ML and Extended ML language for the implementation. 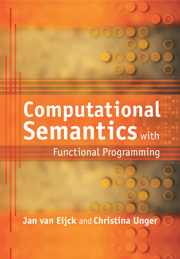 Covers applications of logic in the semantic analysis of language, specified in a functional programming (Haskell) framework. 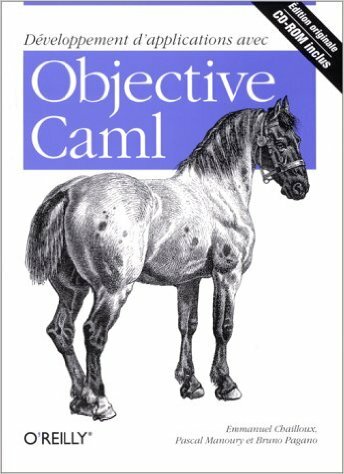 A comprehensive book on Objective Caml, covering not only the core language, but also modules, objects and classes, threads and systems programming, and interoperability with C.
Introduces the principles of data structures and algorithms. Emphasises the algorithmic side of programming, focusing on problem-solving rather than on hardware-level bits and bytes. 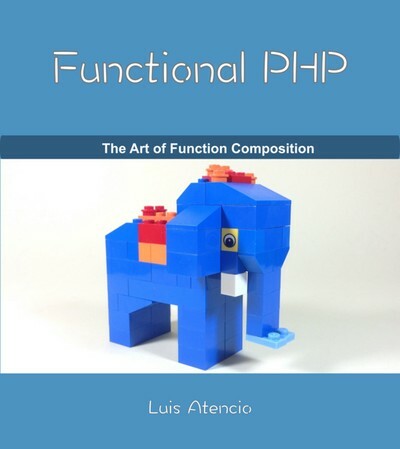 Provides professional PHP developers a practical approach to functional programming and show how it compares to other programming paradigms (procedural and object-oriented). 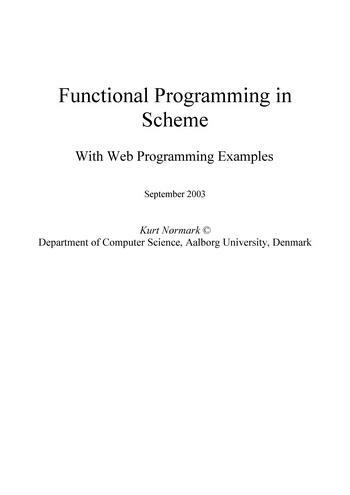 A teaching material about functional programming in Scheme. Illustrated with examples from the area of web programming and web authoring. A practical approach to understanding implementations of non-strict functional languages using lazy graph reduction. Shows the transition from imperative programming to functional programming. 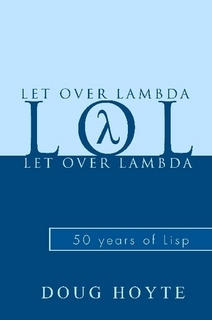 Introduces lambda calculus, how to add types to it, and how to use ML to implement basic functional programming, polymorphism, exceptions and imperative features. This book presents a practical introduction and guide to Objective Caml, with topics ranging from how to write a program to the concepts and conventions that affect how programs are developed in Objective Caml. A tutorial aimed at people who have experience in imperative programming languages but haven't programmed in a functional language before. 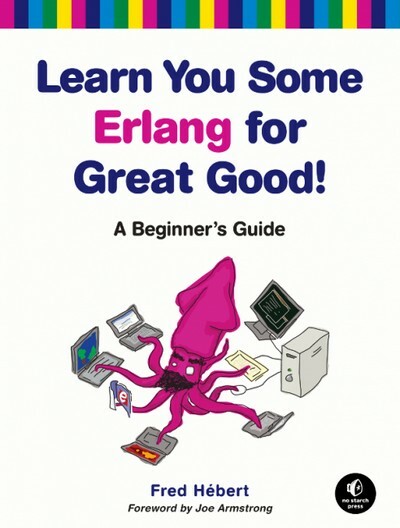 This book is a way to learn Erlang for people who have basic knowledge of programming in imperative languages (such as C/C++, Java, Python, Ruby, etc) and may or may not know functional programming (such as Haskell, Scala, Erlang, Clojure, OCaml, etc). This book is about pushing the boundaries of what we know about programming. If you have ever wondered what lisp or even programming itself is really about, this is the book you have been looking for. 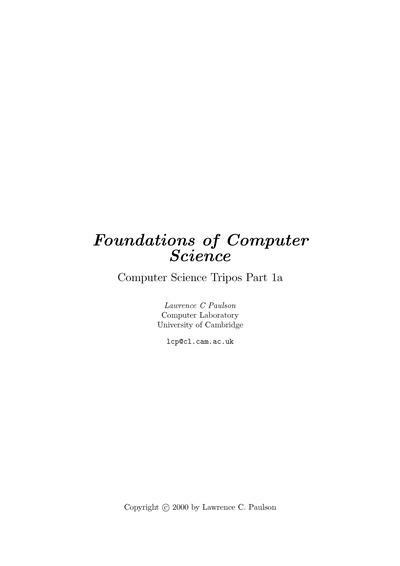 Covers the foundations of programming languages. 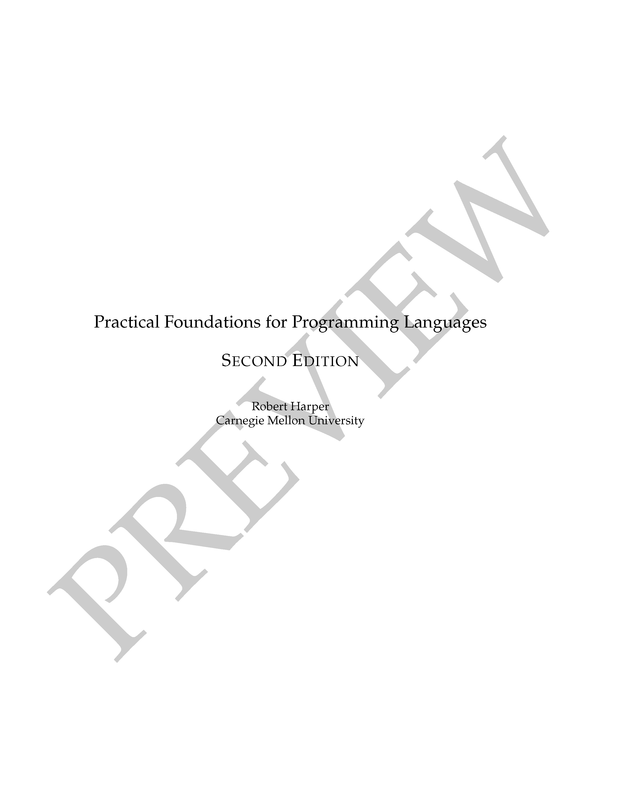 Emphasizes on the concept of type structure that governs programming languages syntax and semantics.